The Flyers annual rookie camp begins today as 23 young players descend on Philadelphia to prepare for training camp. The official training camp will begin on Friday, September 18th, giving these rookies a week to learn about systems, personnel, and to make living adjustments. Twenty-one of the 23 players attending camp have either been drafted or signed (or both) by the Flyers. Only forward Luke Philp and defenseman Phil Myers were unaffiliated invitees. Since taking over as General Manager, Ron Hextall has continually reiterated his desire to be patient in bringing along prospects. Therefore, there are no players attending rookie camp who are penciled into an NHL roster spot. With that said, Hextall has not shut the door completely on the idea of bringing up a young gun in 2015-16. As rookie camp begins, all eyes will be on the Flyers recent first round prospects and their numerous defensive prospects. Players like Ivan Provorov, Travis Konecny, Travis Sanheim, and Samuel Morin will dominate the headlines, and rightfully so. But there are a few other prospects who have the potential to grab people’s attention and to either push for a spot on the Flyers or, in some cases, earn themselves a contract. Taylor Leier is a 21 year old left-winger who has one year of professional hockey under his belt. 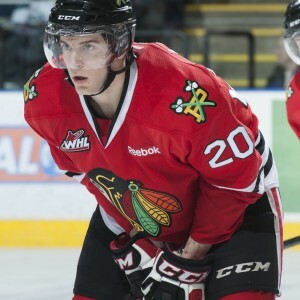 After completing his final season with the Portland Winterhawks of the WHL, a season in which he also competed for Canada at the World Junior Championships, Leier joined the Lehigh Valley Phantoms last season. Through 73 AHL games Leier earned 13 goals and 18 assists for 31 points. Leier’s point totals are not eye-popping, but his speed, tenacity, and penalty killing acumen could make him an intriguing possibility for the Flyers bottom six. Although RJ Umberger, Chris Vandevelde, and/or Chris Porter may seem penciled into the bottom-six LW spots on the 2015-16 Flyers, it is not crazy to believe that Leier could find himself playing the NHL in the event of an injury to one of those players. A strong showing at rookie camp this week could go a long way in making that happen. If the 2014 NHL Draft were held today, Nicolas Aube-Kubel may not be available with the 48th overall pick. Luckily, the Flyers were able to snag Aube-Kubel with the 48th pick and he has progressed at a solid clip ever since. Last season, Aube-Kubel earned 80 points (38G, 42A) in 61 games. Sixty (29G, 31A) of those points came in his final 38 games as Aube-Kubel returned from a knee injury. Aube-Kubel has already played in two regular season games in the 2015-16 QMJHL season, earning three goals and two assists. Although it is hard to see Aube-Kubel beginning the NHL season in Philadelphia, he has shown that he is a good prospect who could give the other young forwards a run for their money. He may never get the press of a Provorov or a Sanheim, but do not be surprised if Aube-Kubel becomes a well-known name within Flyers circles after this upcoming rookie camp. 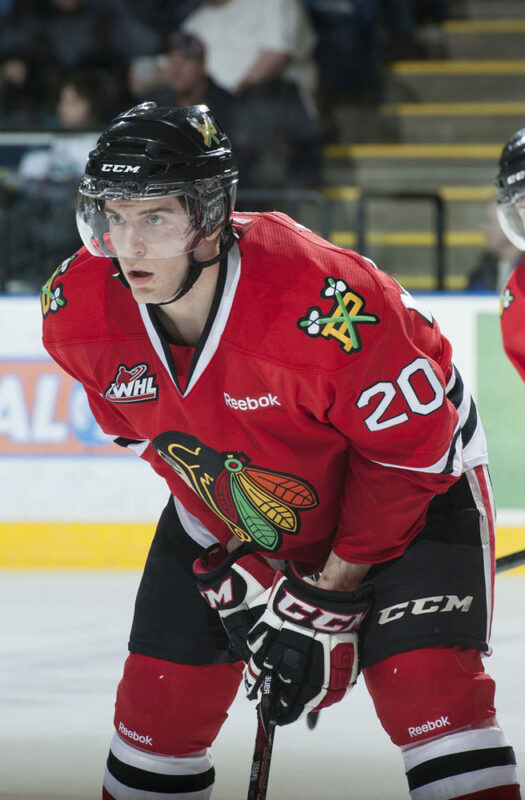 For a more in-depth look at Aube-Kubel, click here. Luke Philp is in a unique situation. As mentioned earlier, Philp is one of the only players attending rookie camp who is unaffiliated with the Flyers. However, Philp did take part in the Flyers development camp in July. Clearly the organization liked what they saw out of the 19 year old forward, because they invited him back to join rookie camp. Philp is a 5’10”, 181lbs, right-handed center. 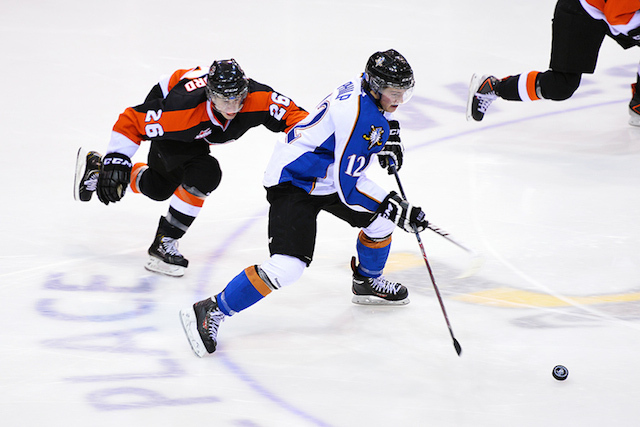 He has been a point per game player for the Kootenay Ice of the WHL over the past two years. Unlike Leier and Aube-Kubel, Philp is not in camp to try to make the NHL team. Sure, he would love to be an NHL player some day, but what Philp first needs is a contract. As a player who will turn 20 by the end of this calendar year, he is eligible to play in the AHL during this upcoming season. A strong rookie camp from Philp, a player whom the organization has already shown that they like, could result in an entry level contract for the youngster. As you begin to follow the comings and goings of the 2015-16 Flyers, these are just a few of the under the radar players who could become well known names over the course of this season.